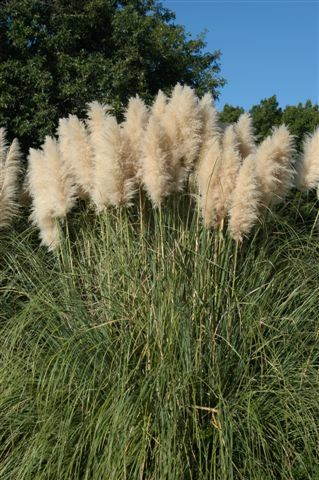 HABIT: Fountain like grass clump with long, slender, sharp-edged blades of foliage. White flower plumes in late summer last quite long into the winter. Foliage turns brown in harsh winter and should be cut back. CULTURE: Easy in any soil. Low water and food requirements. Needs good drainage like most plants. USES: Accent plant, border for roads, drives, or parks. Good for distant viewing. NOTES: White plumes are good for interior arrangements. 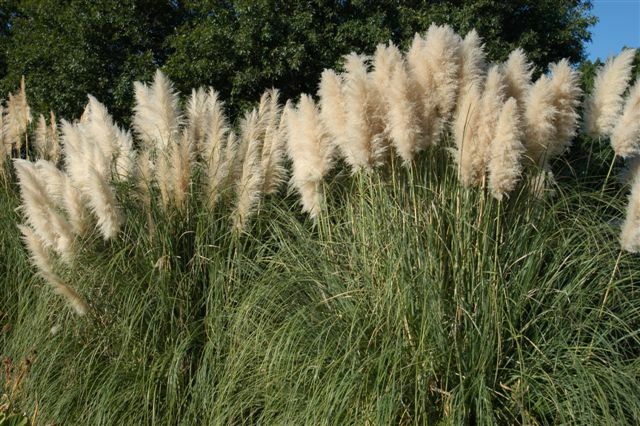 Female plants have the showiest plumes. Native to South America. Muhlygrass Muhlenbergia lindheimeri is similar but more natural looking and native to Texas.